The things they made. 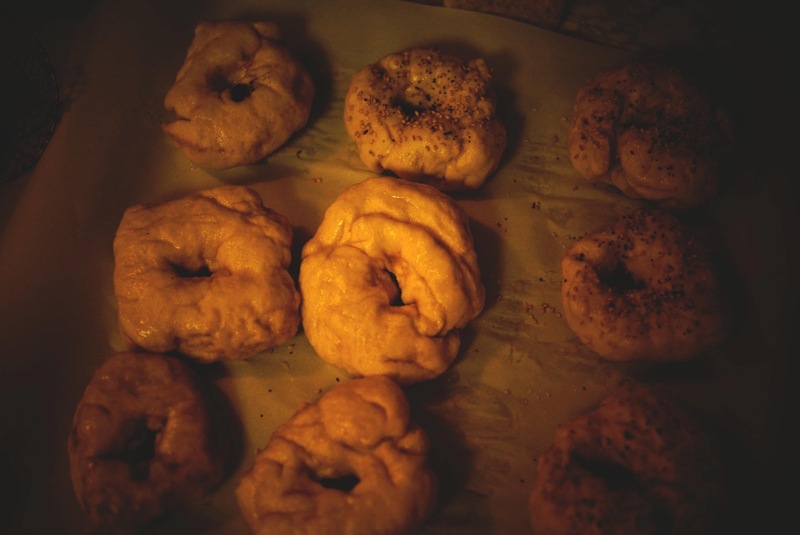 : Made | Homemade bagels. My old roommate pronounced bagel bag-uhl (rather than bay-guhl), and it drove me a little bit crazy. Maybe that's what held me back from trying to make bagels from scratch? Probably not. Either way, when my turn to supply bagels for Bagel Monday at the office came around again, I took the chance and made these babies from scratch. 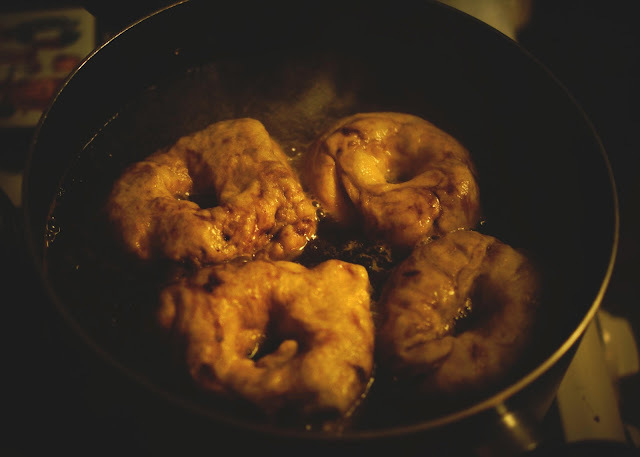 Apparently the trick to chewy, dense bagel is the boiling step. I used the base of the bagel recipe from A Beautiful Mess, and came up with my own mix-ins for four varieties: cinnamon raisin, chocolate chip, blackberry, and everything. 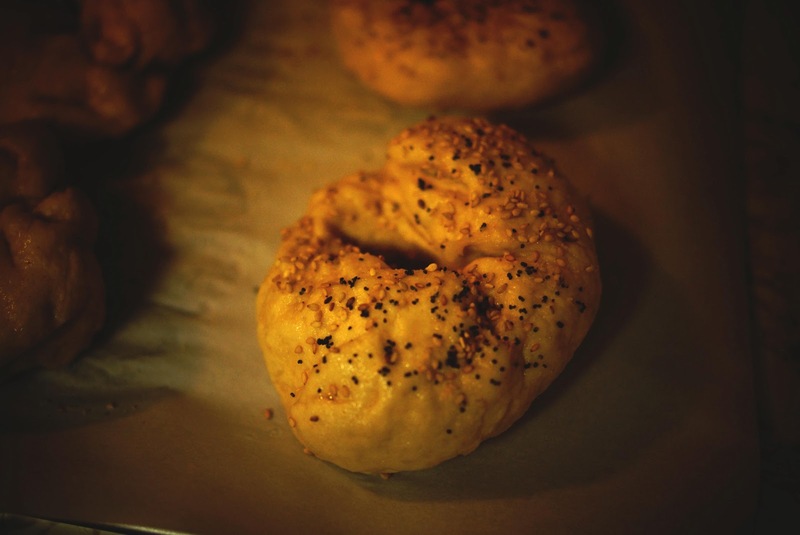 I won't go into the recipe here as Emma does a great job explaining the how-tos, but I will share some things I learned for my next bagel-making experience. 1. Have all of your ingredients ready to go. 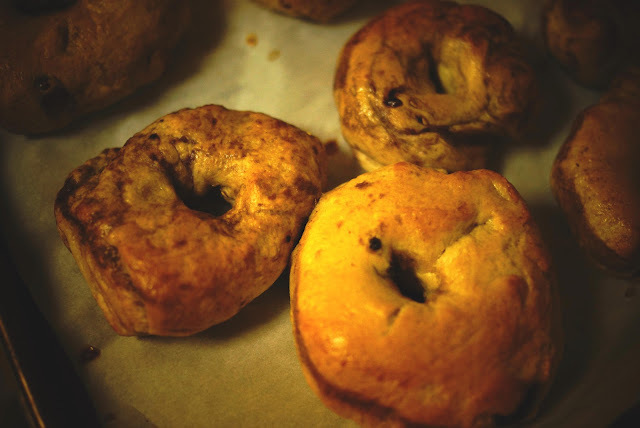 This seems like a no-brainer, but with something as fast-moving as bagels, I found myself scurrying to whisk the egg with the water and locate my cinnamon and raisins and something to scoop the bagels out of the boiling water with. As with most recipes, read through it at least once, make sure you have everything, and go! 2. Don't be afraid to make a mess. I'm one of those bakers who likes to tidy up as I go along, but with something as messy as bagels (particularly the mix-in step), you kind of have to just move forward and plan to sweep all the flour up when you're done. I was serving these to my coworkers, so I didn't want to show up with a bunch of just one kind of bagel. During the first kneading step (before allowing the dough to rise), I separated the dough into four different sections. I then kneaded each section, incorporating the different ingredients as I did. 4. Do the blackberries last. If you decide to make a berry bagel, I recommend doing this one last. I did it second after the cinnamon raisin dough, and I had to wash my cutting board and start all over afterwards. This is probably another no-brainer, but kneading berries into dough makes for a lot of juice squirting. I had a lot of fun making these, but they are a little more labor intensive than your average no nonsense bread. 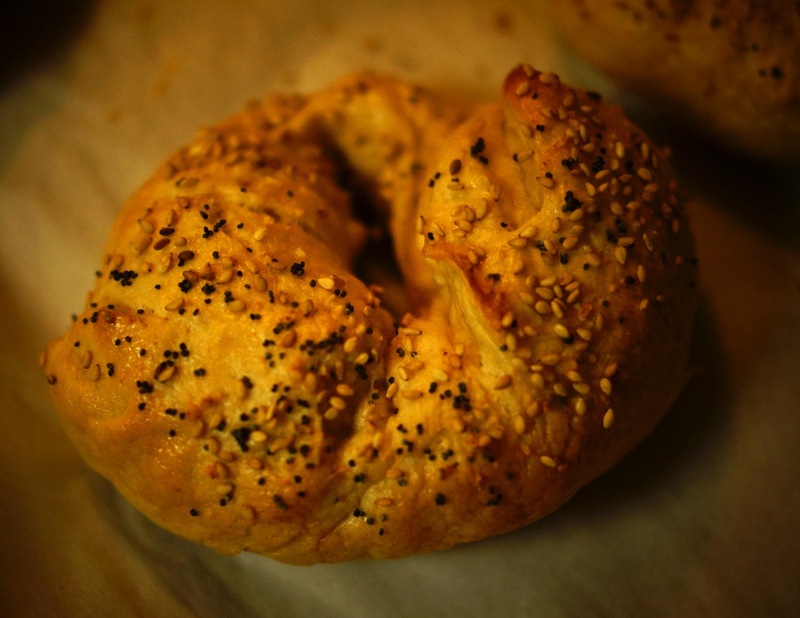 I'm excited to try more of Emma's bagel recipes and to come up with some of my own. How'd they turn out?! What did your coworkers think? These look delicious. I might have to try it! I think they turned out pretty good for my first try! My goal for the next time I make them is more chewy and airy.